fabric facings. 1994 brought the introduction of Luminette® Privacy Sheers, which offer the beauty of sheers and the privacy of soft draperies. And most recently Alouette® Light Louvers, which combine the architectural beauty of a wood shutter, the soft fabric finish of a shade and the light control and privacy of a traditional blind. 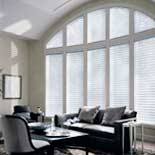 Hunter Douglas Window Fashions is part of the European-based Hunter Douglas Group. Headquartered in Holland, the Hunter Douglas Group manufactures and markets two principal products lineswindow coverings and architectural productsacross Europe, North America, Latin America, Asia and Australia. 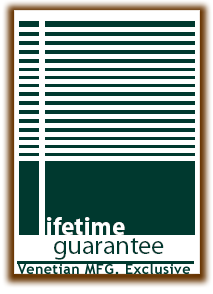 To learn more about the Hunter Douglas Group, or for current press releases, financial and investment information, visit the Hunter Douglas Group web site. Headquartered in Upper Saddle River, NJ, Hunter Douglas Window Fashions is the leading manufacturer of custom window coverings in North America, representing 87% of the Hunter Douglas Group sales. Our strategy is to grow the market, and our market share, by continuing to introduce state-of-the-art, innovative products, providing our customers with consistently superior service and expanding our presence in key geographic markets.